After a long phase-out period, on January 1st, 2018, the fur-farming ban came into effect in Bosnia and Herzegovina. This important ban, established in the Animal Welfare Act from 2009, had a phase-out period set until the end of 2017. On several occasions, farmers tried to abolish the ban or prolong the phase-out period. The last attempt to prolong the phase-out period is still being addressed - but with the ban already in effect, it is completely absurd. The stance against fur farming is getting more and more pronounced throughout Europe. An increasing number of countries have either issued bans, such as the United Kingdom, Austria, Slovenia, Croatia, FYR Macedonia, Czech Republic, and the Netherlands, or enacted various legal measures that preclude such farming. After Bosnia and Herzegovina, the ban is expected to come into effect at the end of the year in Serbia as well. More and more famous fashion brands and designers are ending the use of animal fur, making it clear that it’s becoming a thing of the past. Prestigious fashion brands such as Armani, Gucci, Hugo Boss, Tommy Hilfiger, Calvin Klein, Stella McCartney, and others have all committed to the fur-free policy. Animals raised for fur are confined to small cages for all of their brief lives. They are killed by gassing, broken necks, and electrocution. Furthermore, fur production damages the environment by using large amounts of water and dangerous chemicals to process the fur. 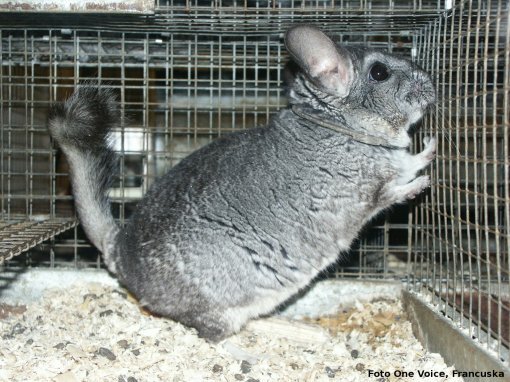 To make a single fur coat, the fur industry kills up to 200 chinchillas, 15 foxes, or 40 minks! There is no excuse for animal abuse and killing for clothing, given that we have had materials that are much warmer, more eco-friendly, more profitable, and more attractive for some time now. Find out more on compassionate clothing and see a list of Fur free retailers.